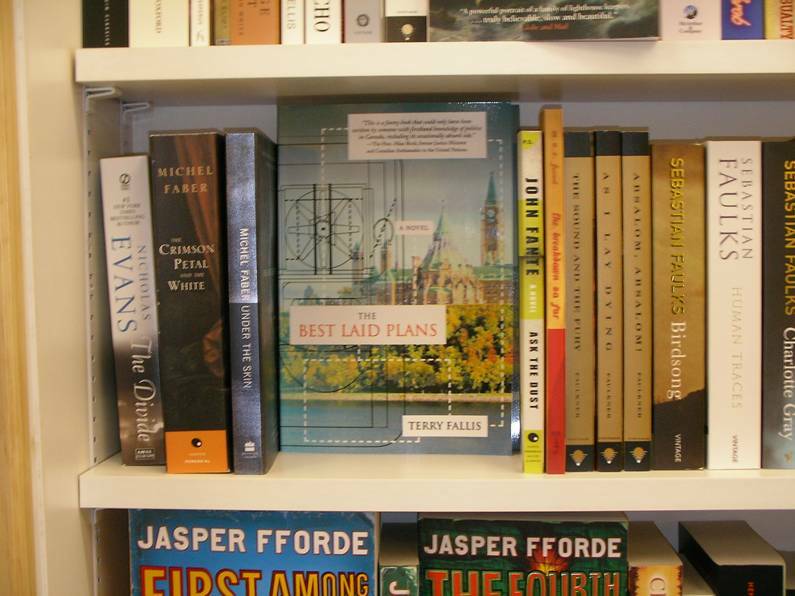 The brand new Book City on Yonge Street just south of St. Clair opened this week and they are stocking TBLP. Book City is a great independent bookstore chain in Toronto with very knowledgeable staff and a terrific selection. It’s very gratifying to be on their shelves. TBLP is also available at two other Book City outlets. 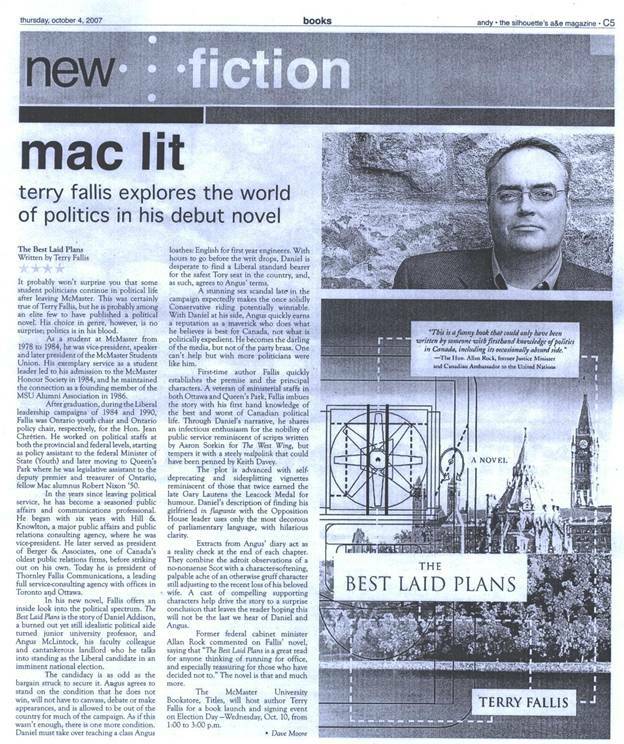 The must-read weekly newspaper that chronicles the political and policy machinations on Parliament Hill featured a short blurb about TBLP.Â If I want to reach politically-oriented (or obsessed) readers, and I definitely do, The Hill Times is a great vehicle.Â Thanks to Paddy Tornsey for helping making this happen. The arts and entertainment pullout section from McMaster University’s very respected newspaper, The Silhouette, ran a full page review on TBLP a couple of weeks ago. (Regrettably, it’s not available online as they’re overhauling their website and are offline for the time being.) 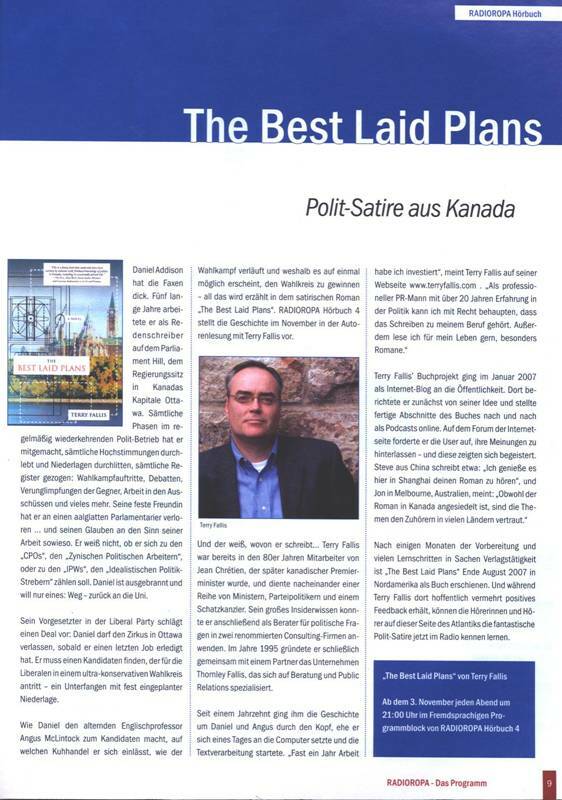 To be fair and up front, a friend of mine, Dave Moore, wrote the review and I’m sure it helped move a few books at the McMaster bookstore. I certainly can’t complain about four stars out of five.Â You can read the review in a new section of this blog aptly called “Novel Reviews.”Â Thanks again Dave. 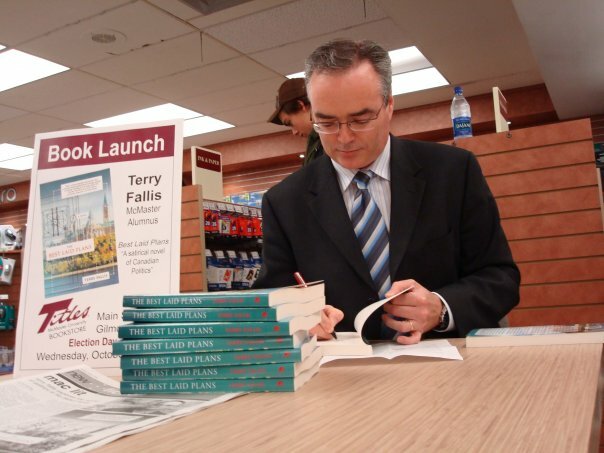 Last Wednesday I traveled to Hamilton, Ontario and McMaster University where the campus bookstore hosted my first book launch and signing. Mark Lefebvre organized the event and promoted it in various ways including posters around campus and a Facebook event page. It’s been nearly 25 years since I left Mac so I was not expecting much of a turnout. My good friends, political science professor Stefania Miller and former McMaster Associate Vice President Jack Evans were stalwart supporters. Stef introduced me with very kind words and then they both stayed with me for the two hours of the signing keeping me company. They also bought about a dozen books for Christmas gifts. Above and beyond the call! Over the course of the signing and in the following days about 20 books were sold. With no previous experience as a comparison, I’ve decided to be very pleased with the outcome. It was well organized and I had a great time talking with those who attended. Thanks to all those who came and of course to Mark Lefebvre who pulled it all together.